Computer science is a fast growing, rapidly evolving and a very vast field. Today's dream might become tomorrow's reality. Computer science spans from Nano Technology to giant industrial machine automation. Let us look at some of the careers in CS and IT. 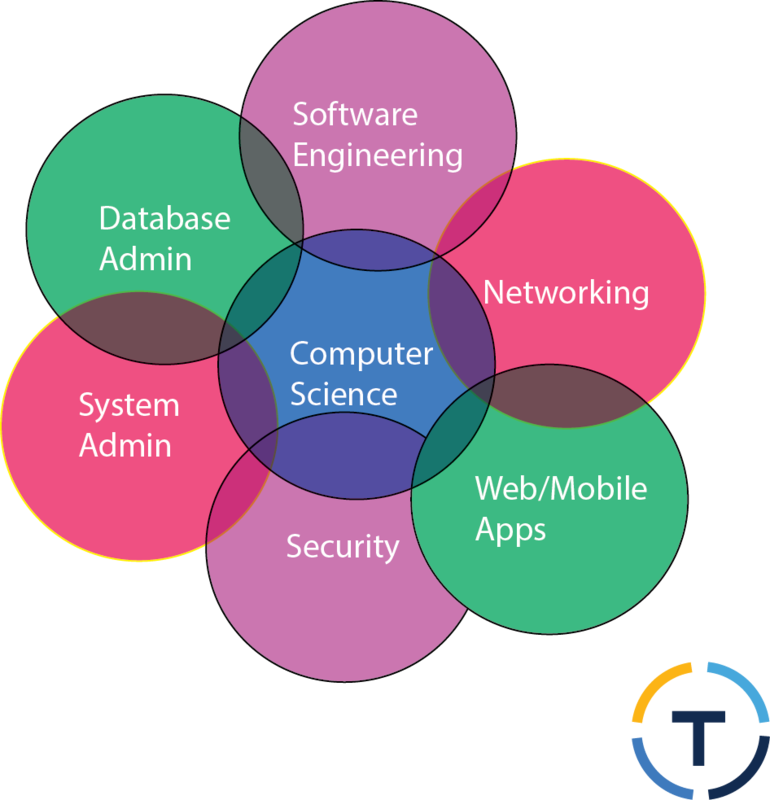 You can see in the list above that there is more in computer science than being a Software engineer. In this post, we will explore some of the common specialties within this field. If you wanted to pursue a specialization in networking, you will be responsible for setting up computers and device connections within the company. Devices could be cameras, printers, routers, switches and other high-tech devices. From national security to identity theft, all has to do with security of information. How is information secure in database? Who has access and who doesn't. How is the information controlled? As a security specialist, it will be your responsibility to secure information of a company, organization or government. This field is in high demand. As a website developer, you will be developing and maintaining websites. As a mobile developer, you will be developing apps for mobile devices such as cell phones and tablets. Database administrator ensures that the data has been collected, stored and released is correct and who can access what. As a system administrator, you will be responsible for managing and monitoring a network of computers, hardware and software and related infrastructure. You will assist project teams in researching, planning and developing technical strategies. In small companies, one person may be responsible for Network, System and Database administration. However, in larger companies, there are a group of employees performing these functions. Professionals in CS and IT field encourage to invest in industry standard certifications such as OCA (Oracle Certified Associate), MTA (Microsoft Technology Associate), MCSE (Microsoft Certified Solution Expert), CCNA (Cisco Certified Network Associate) and more. By passing certification exams, you will have your skills validated. When you apply for a job, there will be several hundred candidates like you but you will stand out because you have an industry standard certificate. The certifications will show that you have worked hard to go beyond the minimum. So, challenge yourself and stand out from the crowd. You'll be accountable for controlling as well as checking the system associated with computer systems, equipment as well as software program as well as associated national infrastructure. You'll aid task groups within studying, preparing as well as building specialized Hipaa Compliance Aws methods.